The definitive story of grime, the 21st Century’s most groundbreaking and influential musical phenomenon. 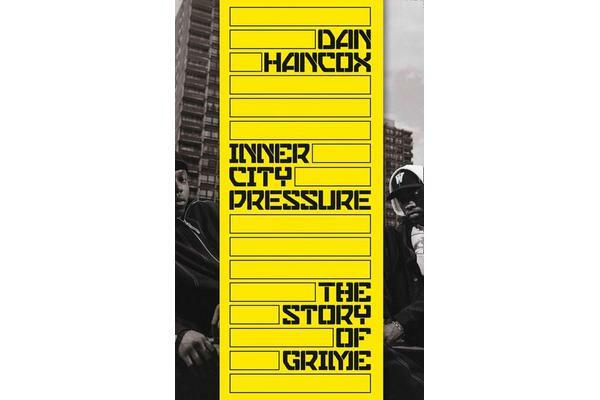 Beginning at the start of the new millennium in the council estates of inner London, Inner City Pressure tells the full story of grime, Britain’s most exciting musical revolution since punk. Against seemingly insurmountable odds, grime’s teenage pioneers sent out a signal from the pirate radio aerials and crumbling estates of London’s poorest boroughs that would, 15 years later, resonate as the universal sound of youthful rebellion, as big in the suburbs as in the inner city. By 2018, the likes of Dizzee Rascal, Wiley and Skepta have long since become household names. But have the conditions that produced this music now gone forever? What happens to those living on the margins when those margins become ever-smaller spaces? And what happens to a rebellious, outsider sound when it is fully accepted by the pop cultural mainstream? Inner City Pressure tells the astonishing story of a generation dancing, fighting and rioting against the forces gentrifying the capital.